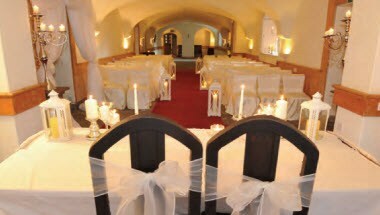 Vaulted cellars candle lit room with open fire. 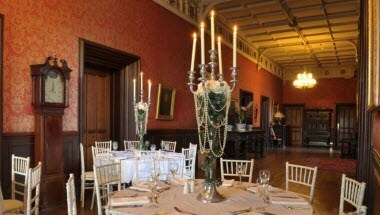 A unique setting and ideal for party up to 50 seated. 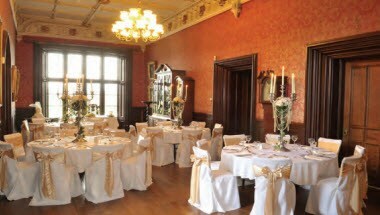 For the perfect wedding at an Irish Castle come to Narrow Water Situated in the stunning countryside of County Down, Northern Ireland, this historic building makes an exquisite and convenient setting, be it for weddings, a film location, a conference or even a private barbecue. 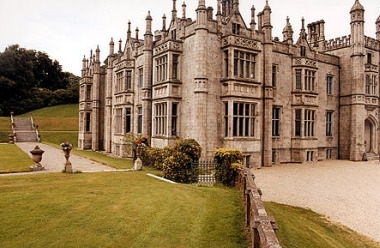 Narrow Water Castle, overlooking Carlingford Lough in County Down, Northern Ireland, is situated on the outskirts of the picturesque seaside town of Warrenpoint, four miles from the city of Newry. It is about one hour from Dublin Airport and less than an hour from the city of Belfast, a short distance from the M1 motorway, linking Dublin to Belfast. 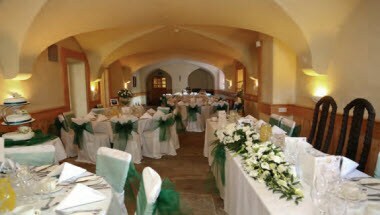 The Castle and grounds are a perfect venue for professional people to get together for conferences and formal or informal gatherings.